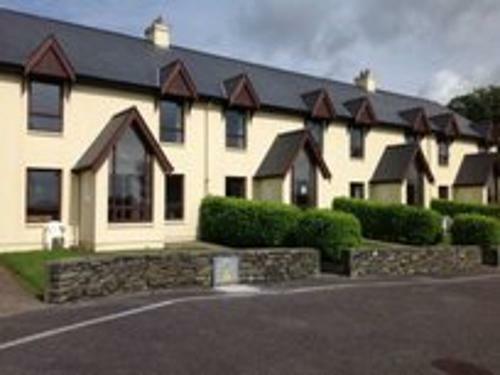 Seascape Cottages is a terrace of just 10 cottages overlooking the harbour at the edge of Schull village in West Cork. Each of the cottages can accommodate up to 6 people in three bedrooms – one double bedroom and two twin bedrooms. The double bedroom has an ensuite bathroom and there is also a shared bathroom. The modern kitchen is fully equipped with oven, hob, fridge/freezer, dishwasher, microwave, washing machine and dryer. The houses are heated with Gold Shield electric central heating and there is a cosy open fire in the sitting room. These cottages are an ideal centre from which to tour the south-west or just to relax and enjoy all. Pets: Pets are welcome – on request – at Seascape Cottages at an additional charge of €20 each per pet per stay. Linen is included, towels are available to rent and must be booked prior to arrival. Electricity is determined by a meter read and payable on site. The nearby harbour is filled with sailing enthusiasts, oarsmen & women famed along the coast in their skill; fishing boats, lobstermen, crabbers, trawlers, ferries to and from Carbery’s Hundred Isles. Schull is a harbour by a village famous for its exciting pubs, restaurants, boutiques, antique shop and bookshops.